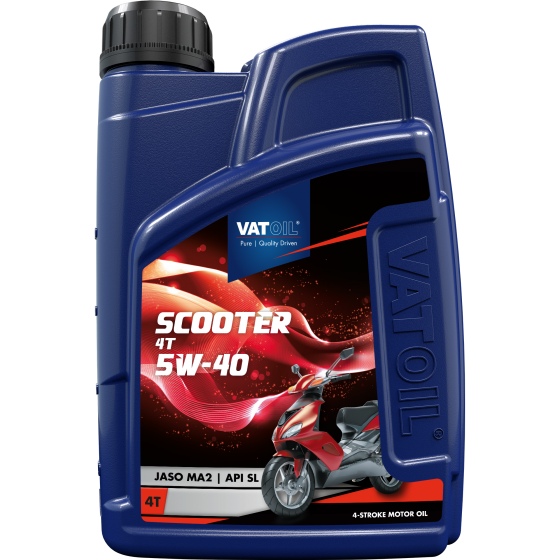 Scooter 4T 5W-40 is suitable for the lubrication of modern 4-stroke scooters. It prevents sliding, sticking and/or rough changing of the clutch-plates. Scooter 4T 5W-40 is developed and tested in cooperation with the most important motorcycle producers and has its performance demonstrated in the field. Always check the product recommendation database for the right application.